Alasdair MacIntyre and Richard Rorty, in their different ways, have represented the tension between acculturation and individuation, truth and freedom, as central to modern education systems, a tension which, both agree, they have failed to resolve. 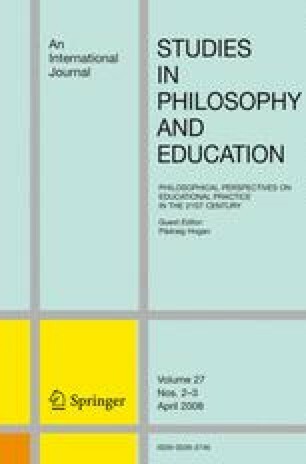 The paper argues that an additional complication is that in the contemporary postmodern landscape, which prioritises the notion of lifelong learning in its policy discourse, the very notion of education is threatened, and asks whether we should care. It considers MacIntyre’s suggestion that the notion of the educated public can solve the former tension and concurrently re-launch the notion of education in the postmodern world—central to MacIntyre’s plan is the reform of the university. And against it Rorty’s suggestion that acculturation and individuation be regarded as different but connected processes, with individuation conceived as self-creation and located in the non-vocational university.